Welcome to Honeystones Cottage, the home of Chuck and Jackie Deems and AMAZING GRACE FARM. Honeystones Cottage is a 150+ year-old hand-hewn sandstone cottage that was once a Stagecoach stop and part of the Underground Railroad before the Civil War. Our home is nestled amidst 30 rolling acres in the middle of Mohican Country near Mansfield, Ashland, and Wooster, Ohio. 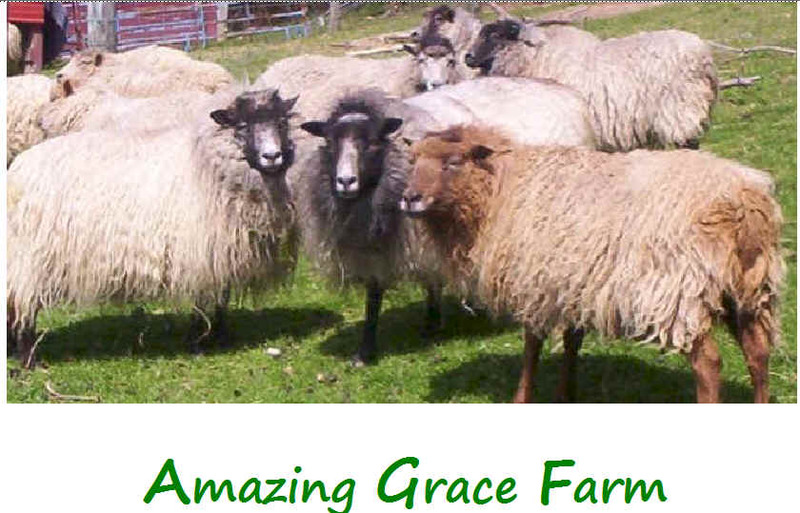 We offer registered Shetland Sheep for sale and we believe in ongoing follow-up to new owners. Many of the families who have purchased our Sheep and Llamas have also become our good friends. Our farm is now home to 30 Shetland Sheep, 7 dogs (5 are Livestock Guard Dogs) 60 or so adoptable Cats. Most of these Cats were homeless street cats and are spayed/neutered, vetted, socialized and waiting to be adopted so they can have their own families . Our farm breeding goals are: to produce breeding stock with correct conformation, gentle dispositions, and luxurious fiber--in that order. We are particular about the quality of our breeding stock--it has taken us several years to choose our breeding males and females. And, we do not believe in overproducing animals--we strive for quality not quantity. We believe that purposely producing pet quality Sheep is not in the best interest of the animals or the industry because too many of these animals end up at exotic auctions or worse. As responsible breeders, we feel that the only ethical choice we can make is to breed for the best. Therefore, a large number of our animals are show or breeding quality. Those that are not, in our estimation, breeding stock are sold as pets and companion animals. We do not send our animals to market nor do we use them for meat. We raise them simply for fiber, companionship, sheer enjoyment, and very effective self-propelled lawnmowers (complete with fertilizer attachments).